Now that I’m working I love to get a head start on dinner in the morning. 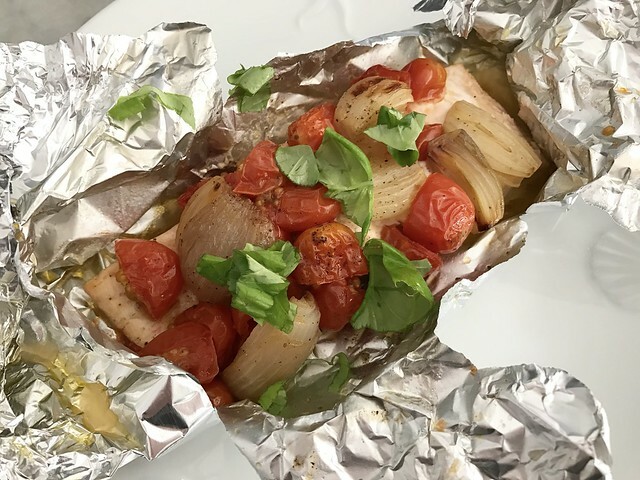 Before I leave for work I can start my salmon baked in foil and have the mess cleaned up. I usually have cherry tomatoes and shallots on hand. I’ll stop and get salmon on my way home. To start the prep for dinner I’ll use about 1/2 pint of cherry tomatoes or any small tomatoes and cut in half. Then trim the ends of the shallots and cut in half lengthwise and peel off the outer skin. Mix together in a bowl with a little olive oil and salt and pepper. 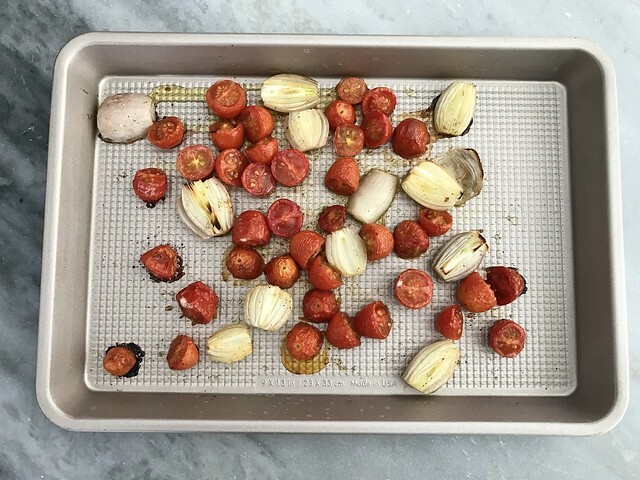 Spread out on a baking sheet and roast at 375º for about 20 minutes. You want them to caramelize a little. At this point you could scoop this into a small bowl and cover and save until you are ready to bake your salmon. 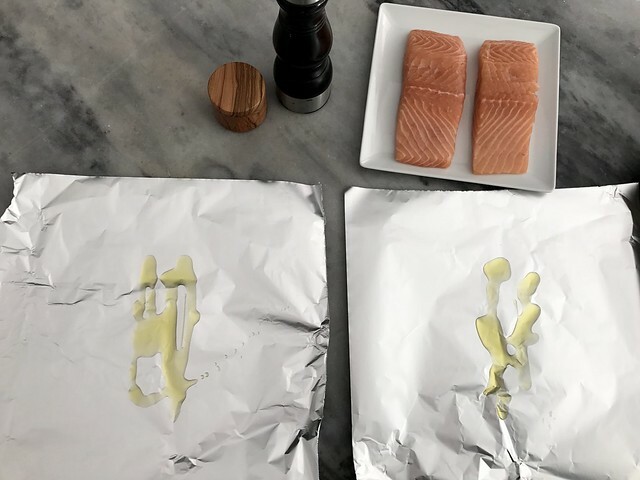 Or if you have your salmon you can assemble by adding a little olive oil to the center of each foil square. Then place the salmon (skin removed) on top and turn over and then again. 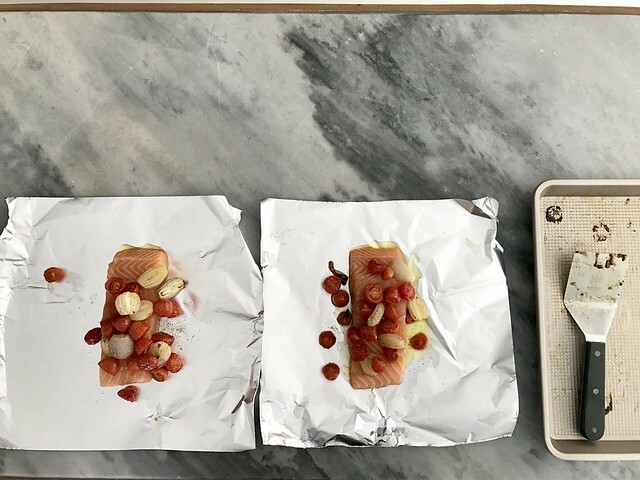 Scoop the tomato and shallot mixture on top of each salmon fillet. And now you are ready to wrap them up. Start with the length and pull up both sides and fold at the top and then continue to fold over leaving a little room for air inside. Then Fold up the ends. I usually cover with Saran Wrap and store in the refrigerator until ready to bake. Bake the salmon packets in a pre-heated 400º oven for 25 minutes. Carefully unwrap and enjoy with a few roasted potatoes and a salad. 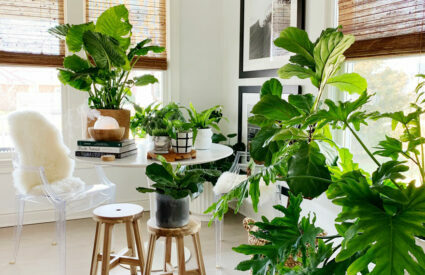 If I have fresh herbs like I did today, I would add a few at the end for a little freshness and color. Enjoy! 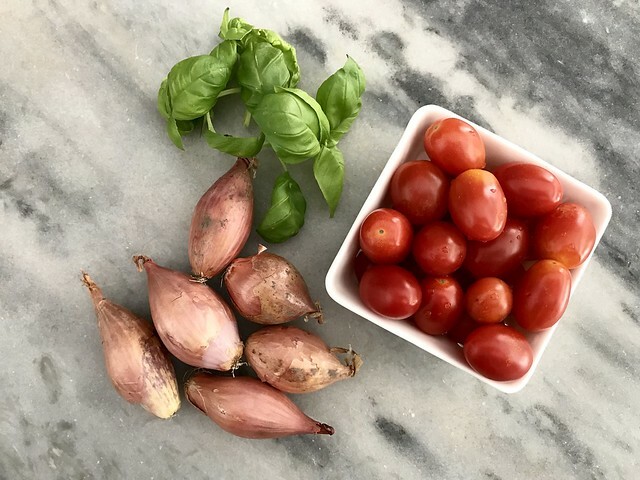 In a small bowl, toss together the cherry tomatoes and shallots with a little olive oil. Add salt and pepper and bake for 20-25 minutes on a baking sheet until they begin to caramelize. Set aside until you are ready to prepare your salmon. To prepare your salmon, cut into single serving portions. 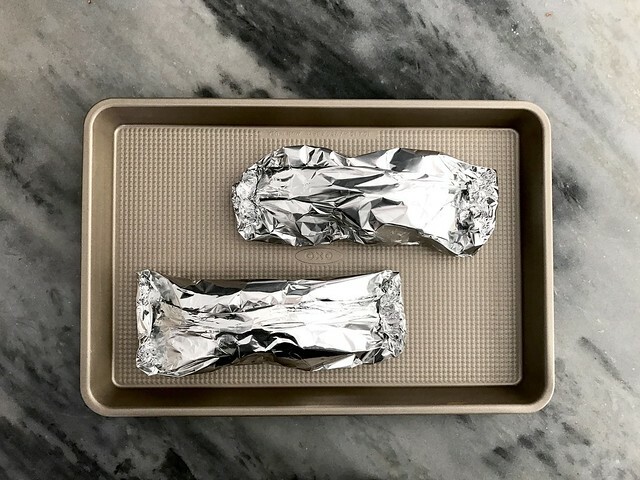 Lay out a 12″ foil square and drizzle with olive oil. Place salmon portion on top and turn twice coating it in the olive oil. Spoon tomato and shallot mixture on top dividing evenly. Season with salt and pepper. Fold up lengthwise first and fold over leaving a little room for air to circulate and then pinch the sides and fold to close. Place on a baking sheet and either store in refrigerator until ready to bake or bake in a 400º oven for 25 minutes. Open carefully. Sprinkle with fresh herbs if using and serve hot. I just made this. 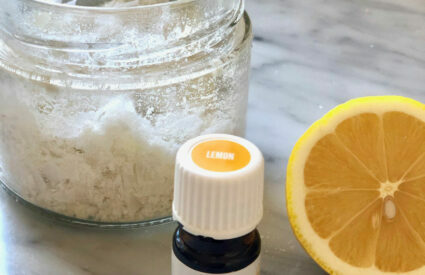 It is delicious and so easy. 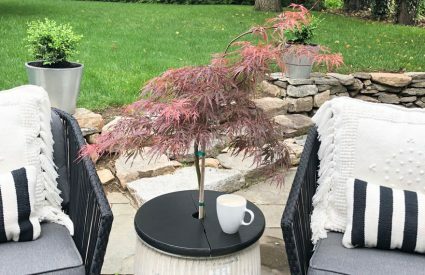 I am going to make this on Friday. Thanks for sharing Annie.